Tactile and bright, this set of four friendly fruit baby rattles makes an ideal gift for a newborn baby or a unique baby shower present. The set includes four rattles - an apple, a pear, a pineapple and an orange. 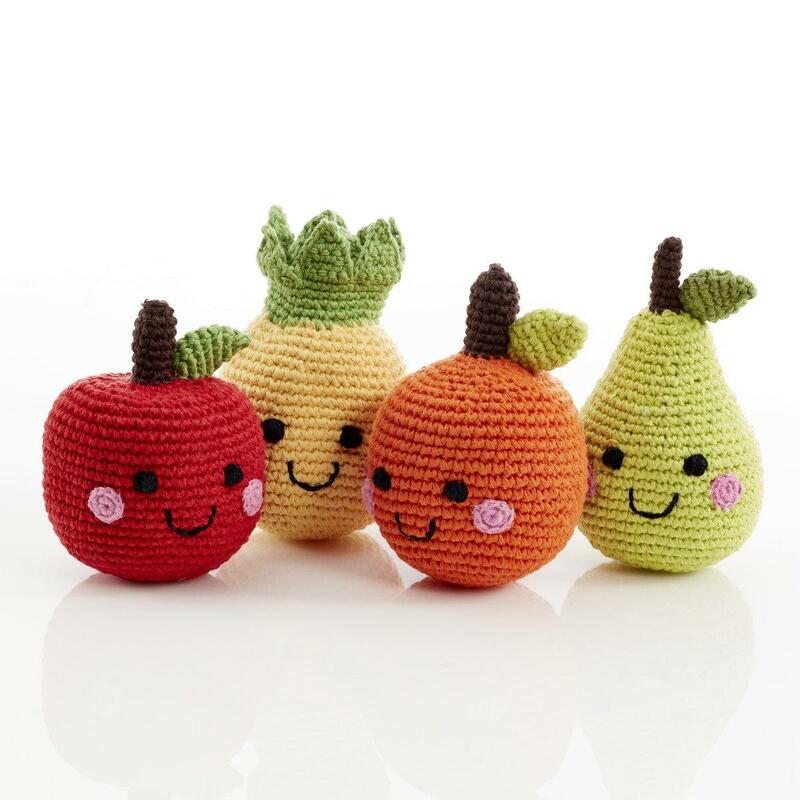 These fruit baby toys are handmade from cotton yarn, machine washable and suitable from birth. They make ideal first rattle toys and then first play food toys as your baby starts to develop. •Easy to wash: machine washable at 30C. Who made my fruit baby rattles? All of our fair trade crochet bunny baby toys are made by our fair trade partner Pebble.